I am selling my beautiful Jack Sullivan gown in blush with pearl detail. 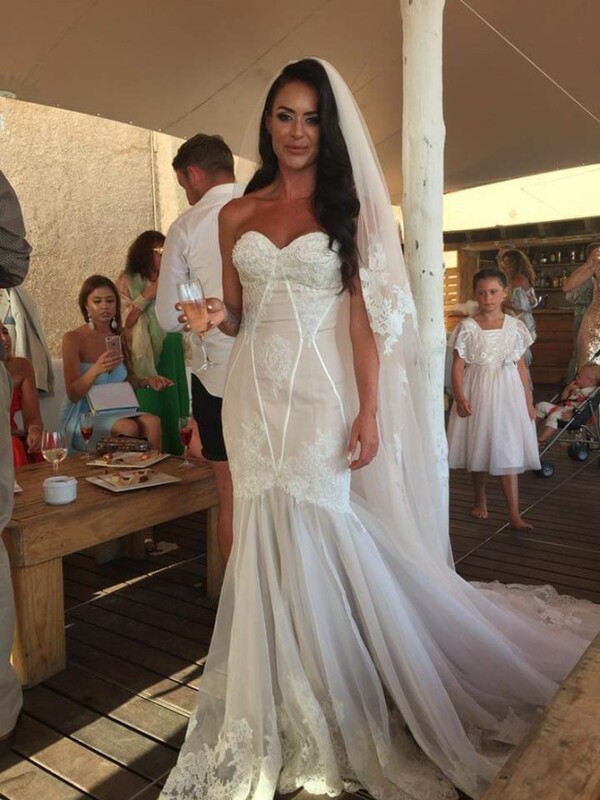 The dress was ordered as a 10 but I had to have it made slightly smaller so it will fit a size 8. the veil is also available for an extra cost if wanted, it retails at £300. it is blush too with lace detail, 2 tier cathedral, it matches beautifully with the dress. the back of the dress is a corset so is adjustable too. Once you send a message, Dominique can invite you to purchase the dress.